In addition to offering thousands of exciting tourism destinations, each region in Indonesia has distinctive and delicious culinary dishes. 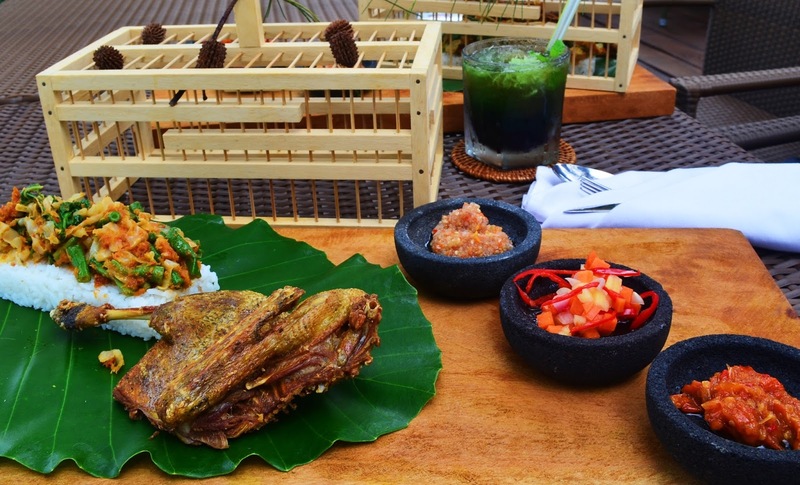 It feels incomplete if visiting Indonesia without taste its delicious trademark dishes. The delicious typical dishes have its own power. One dish can tell more about the culture and its people. It can create memories in the tongue then raise a feeling to come back to its place again. 1. Fried rice is the most favorite food for both Indonesian people and the foreign tourists because of its delicious taste. The way to make it is so easy. It just needs rice fried and mixed with flavor and the other ingredients. Every region has characteristic of tastes in making fried rice. 2. Soto is Indonesian typical foods with many different characteristic of tastes in every region. In addition to Indonesian people, Soto is also favorite by a lot of foreign tourists who come to Indonesia because of its special taste. 3. Gado-Gado is a dish made from boiled vegetables and mixed with peanut sauce. It is usually served with rice or Lontong (steamed rice in a banana leaf). Its delicious taste makes Gado-Gado is favorite by the food lovers to try it in every region they visit. 4. Sambal (Indonesian typical spicy sauce). Whatever the food, it tastes so delicious if there is Sambal. Sambal also raises the appetite, moreover if it is served appropriate with the food. There are various kinds of Sambal in Indonesia, some of them are Sambal Terasi (sauce made with shrimp paste), tomatoes sambal, Onion Sambal, Sambal Matah etc. The uniqueness of sambal composition interests the foreign tourists, so it becomes one of the hunted menu if they visit Indonesia. In aboard, it is called as Barbeque but in Indonesia it is more spicy and interesting. It made from small pieces of meat with various Indonesian typical flavors. It is usually served by Lontong (steamed rice in banana leaf), ketupat or rice and it also becomes a menu that successfully attracts foreigners. If you go to Malang, East Java, you should taste various meatball dishes. Some of them are served in a big portion and some are grilled. Malang Meatball turned out to be a popular dish in all over Indonesia and for the foreigners. Even, the president of US Barrack Obama is addicted to eat this food menu. Meatball is usually sold by street vendors and some turn into a meatball depot. This Indonesian authentic menu is still interesting however the seller’s creativity in making it. If India has curry, Indonesia has Soto or soup that actually consists of various flavors. It depends on the region where the soup originally from. There are Soto Lamongan, Soto Betawi, Soto Madura, and another kind of seasoned Soto and very tempting. It uses small pieces of chicken, beefs or goat meats and attracts every taster. This is a rice menu originally from Betawi, Jakarta. He way to cook the rice is a bit different because it’s cooked with coconut milk, so the rice resulted is very savory or fragrance. It is served with fried chicken, boiled egg, tempe (fermented soybean cake), and melinjo chips. Nasi uduk is better enjoyed when it is still warm. Well, the one who is from Sumatera certainly understand how the enjoyment of this Indonesian genuine sense, right? Circulating in different cities, shop or restaurant Padang always sold well and become one of the culinary tourist destinations. There are a variety of dishes ranging from fish, chicken, red meat which is packed up with delicious spices. Interestingly, the presentation is always accompanied with boiled cassava leaves and green chilly sauce that makes people want to eat more. Unlike the fried chicken circulating in western countries, regular fried chicken in Indonesian spices mixed with a more delicious and nutritious. The color will change to golden yellow when fried, the meat flavorful and fragrant saffron and coriander. Usually served with chili, fried chicken is making the typical Indonesian Caucasians miss a visit to Indonesia. Typical Yogyakarta, the food is made ​​from young jackfruit has a sweet taste and sticky. Cooked with a mixture of coconut milk and brown sugar, jackfruit young to be so sweet, soft and sticky. Usually served with boiled eggs and packaged in the cauldron that is reportedly more durable.